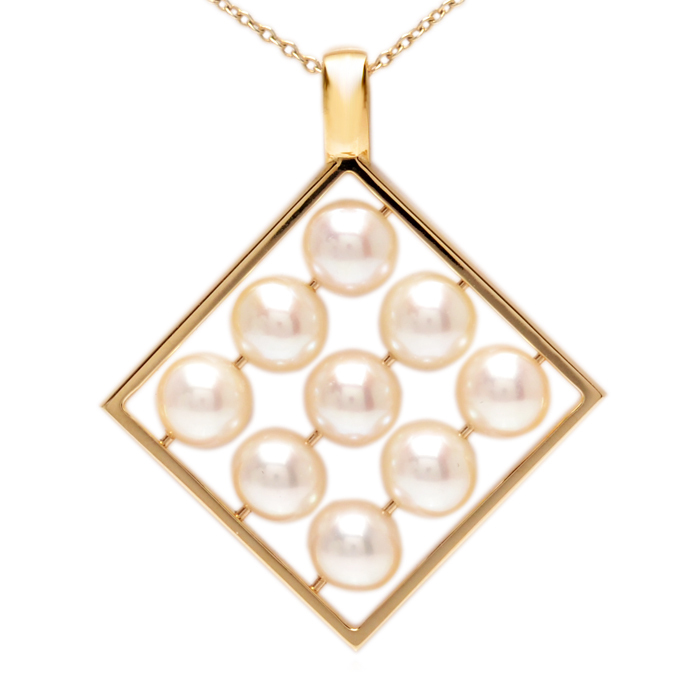 Commissioned using clients leftover Akoya Cultured Pearls from a strung necklace. 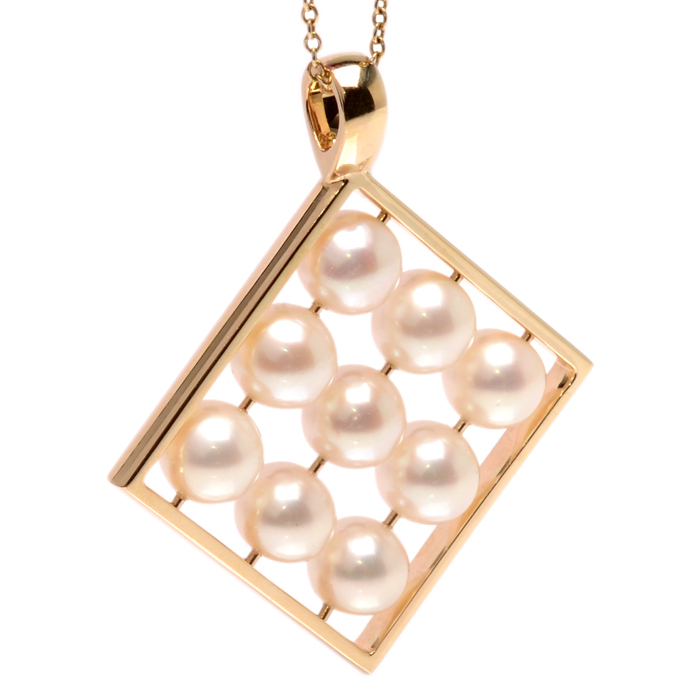 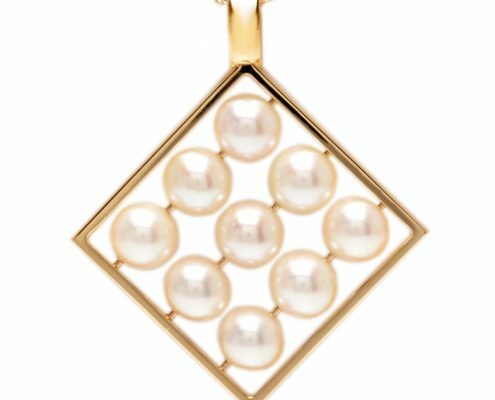 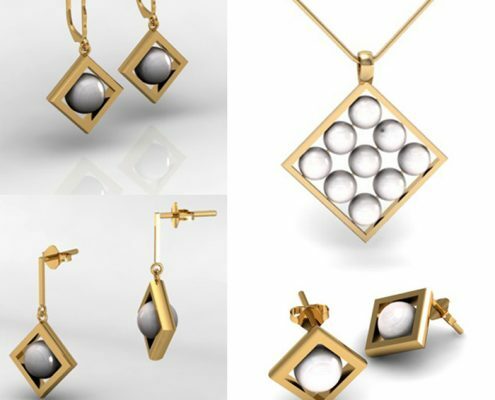 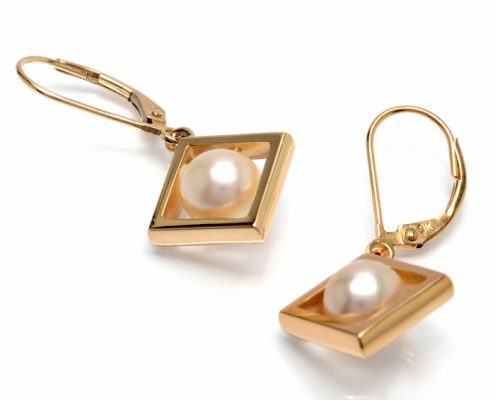 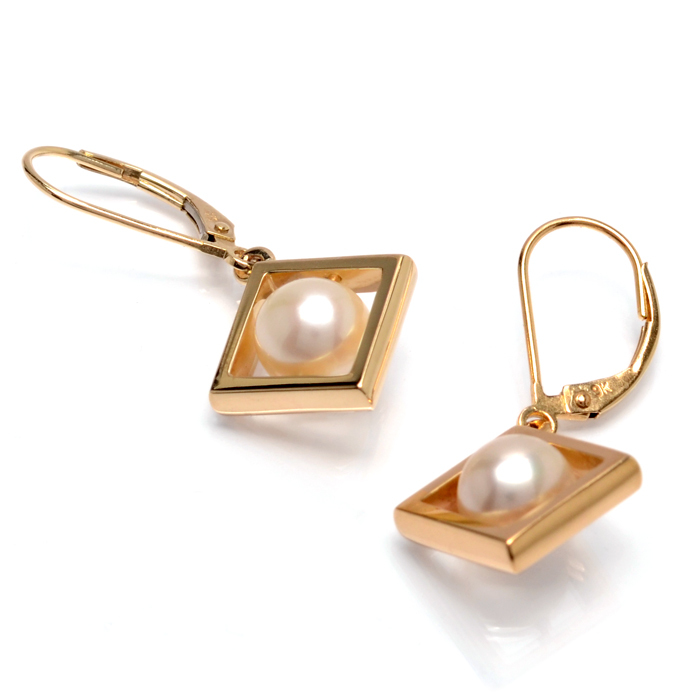 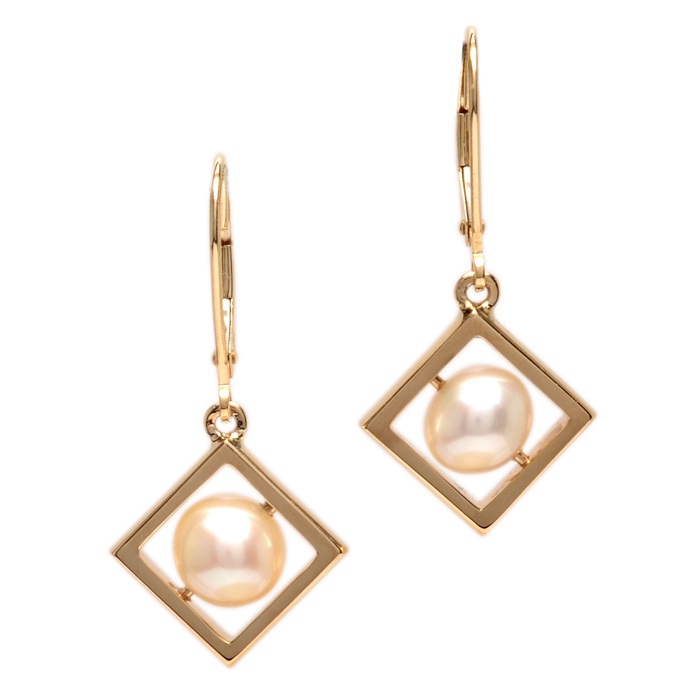 The concept was to create a geometric framework for the pearls to ‘sit’ within, giving an appearance of floating. 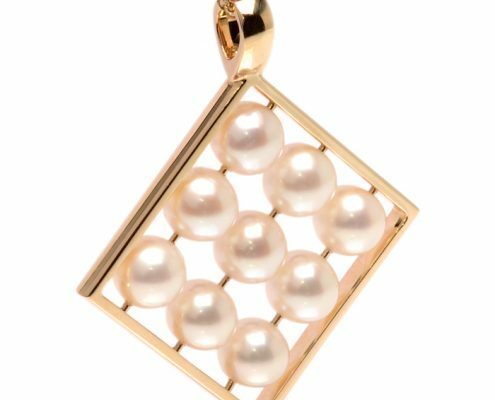 Wires, passing through the drilled holes within the pearl, are attached to the surrounding framework and laser welded in place. 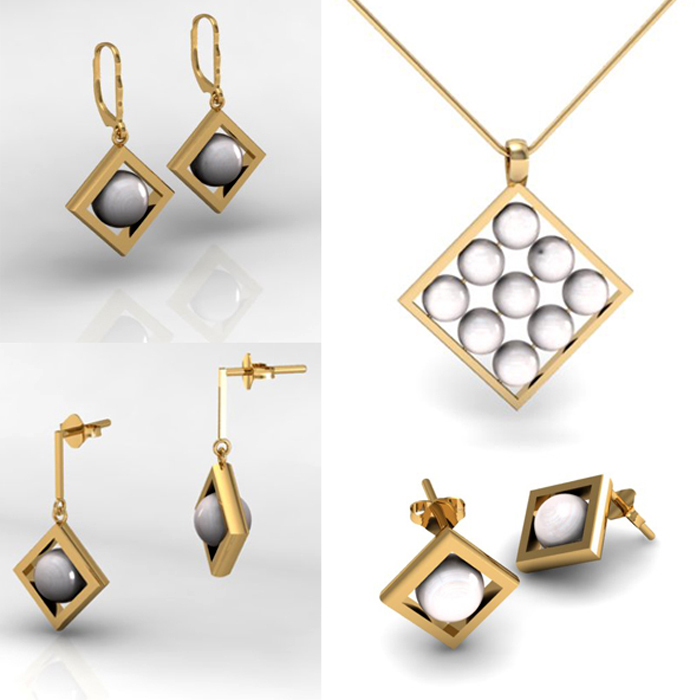 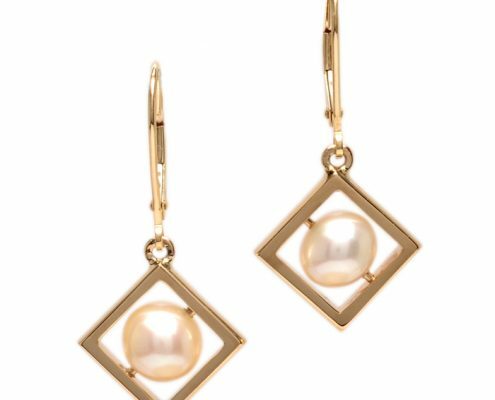 Drop earrings complement the neckpiece.